PLACE: Faulkner Gallery, Santa Barbara Public Library, 40 E. Anapamu St.
At our October Community Forum, we will provide information for the general public about “what is happening today” regarding immigration and the current situation affecting new and existing immigrants in Santa Barbara County. The discussion will include information about Federal and State policies and actions, but will focus on local activities of existing and emerging immigrant and community groups, public officials, and law enforcement. Anahi Mendoza, Executive Director of the Santa Barbara County Immigrant Legal Defense Center (ILDC); Jacqueline Inda, Founder and Board member of the Santa Barbara Response Network; Erica Reyes: District Representative for Congressmember Salud Carbajal; ) and Bill Brown, Santa Barbara County Sheriff. The League never supports or opposes candidates or political parties, but often makes recommendations on ballot measures. Community Forums are held in the Faulkner Gallery of the Santa Barbara Public Library the third Wednesday of the month. The Forums are co-sponsored by the Library and filmed by TV/SB for live streaming and continued showing on that channel. Sound is provided by Gary Atkins Sound Systems, Simultaneous Spanish translation provided by Transilpro. Handicapped access is available at both entrances to the Library and parking is available. VOTE WITH THE LEAGUE IN NOVEMBER! Voters of California has recommendations on 7 of the 11 propositions. LWVSB has made recommendations on the two Santa Barbara County redistricting measures. Because League positions do not cover the issues in the other measures (Props 7, 8, 11, and 12), the LWVC is not taking a stand on them. Prop 9 was removed from the ballot. Go to https://lwvc.org and click on “BALLOT RECOMMENDATIONS” in the top menu. You can download the flyer, and read the recommendations and why LWVC supports or opposes the propositons, in much more depth (keep clicking on “more information”, “get involved”, etc). On the local level, LWVSB supports Measure G2018, a County ordinance put on the ballot by the Board of Supervisors. This measure would create a citizens’ independent redistricting commission for our county, similar to the state redistricting commission and generally conforming to the League’s criteria. We oppose Measure H2018, an initiative that does not conform to League’s criteria either for choosing redistricting commission members or for process. WHAT IS THE EVOLVING ROLE OF SBCC AS A CALIFORNIA COMMUNITY COLLEGE? The May 16 forum will address how SBCC is rising to the many challenges it faces in fulfilling its complex mission. Fake News: Can Our Democracy Survive? April 18, 2018 - The April 18 Community Forum will explore Fake News – what it is, where it comes from, how and why it proliferates, how it has changed in recent months and years, and what it means for our democracy. Wikipedia defines it like this: “Fake news is a type of yellow journalism or propaganda that consists of deliberate misinformation or hoaxes spread via traditional print and broadcast news media or online social media.” Can we learn to detect Fake News? What are “bots” and how is social media compromised by Fake News? What was the extent of Russian involvement in the 2016 election and what were their goals? What is the current Russian presence in social media? Most importantly how does Fake News affect democracy? Does free speech mean any news story or headline must be permitted? Can we identify and counteract Fake News? Our speakers will define and explore this phenomenon. Forum speakers include journalists and all are experts in the field of Fake News. Our stellar panelists are Jerry Roberts who was Editor for the San Francisco Chronicle, and now is a political columnist for the Independent, host of City Desk at SBTV, founder of Newsmakers; Lisa Neubert, Programming Librarian at Santa Barbara Library; Marga Cooley, Santa Maria Times Editor; and Miriam Medzger, Ph.D, Director of the Center for Information, Technology and Society at UCSB. How Safe Are Our Elections? March 21, 2018 - When the national news covered the hacking of the 2016 elections, questions were raised that the public had never had to consider before. The principal one was: Are our elections safe from outside manipulation? The person who had to answer that question in Santa Barbara County was Joe Holland, County Clerk and Recorder. Last summer he prepared a paper called “Frequently Asked Questions” which gave the answers that he had discovered in his research. That paper needs much wider distribution, and the League has invited him to discuss those important answers at our Community Forum in March. We will invite several experts in the field to participate in asking and answering these questions with him. The Forum will begin at 12 o'clock in the Faulkner Gallery of the Santa Barbara downtown library, which is co-sponsoring this program. It will be filmed by TVSB for later release on their channel. The public is invited to bring questions that they have had about election security and the panel will discuss them. The Library now has parking and handicapped access on both sides of the building. Sound for the Forum will be provided by Gary Atkins Sound Systems. February 21, 2018 This Forum is focused on the League’s position on reproductive rights. Our speakers will be Laury Oaks, PhD, Professor of Feminist Studies at UCSB, Van Do-Reynoso, PhD, Director of Public Health for Santa Barbara County, and Jenna Tosh, PhD, Executive Director of Planned Parenthood California Central Coast. "Watch the video of the event here"
Speakers will focus on what are reproductive rights – from choosing to be a parent to not being a parent, understanding the many forms of reproductive rights politically and physically, and understanding issues of maternal and child health as well as reproductive health. Immigration 2017: What's Happening in Santa Barbara County? The League of Women Voters believes that immigration policies should promote reunification of immediate families; meet economic, business and employment needs of the United States; and be responsive to those facing political persecution or humanitarian crises. Provision should also be made for qualified persons to enter the United States on student visas. All persons should receive fair treatment under the law. 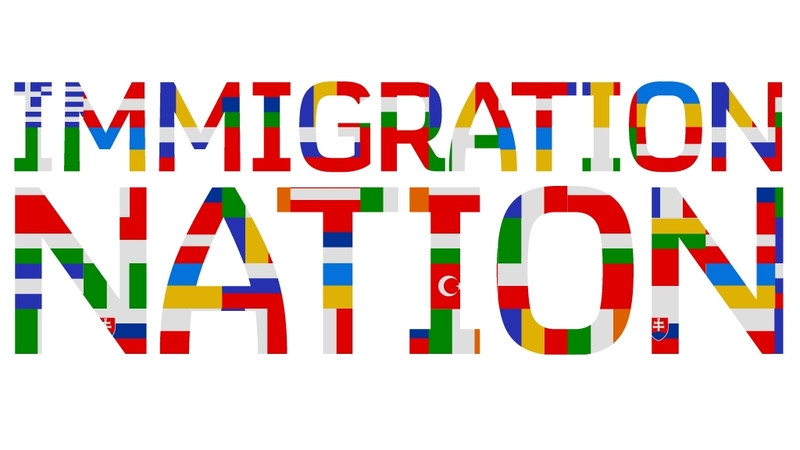 The League supports federal immigration law that provides for an efficient, expeditious system (with minimum or no backlogs) for legal entry of immigrants into the United States. To complement these goals the League supports federal policies to improve economies, education, job opportunities and living conditions in nations with large emigrating populations. In transition to a reformed system, the League supports provision for unauthorized immigrants already in the country to earnlegal status. The League supports federal payments to impacted communities to address the financial costs borne by state and local governments with large immigrant populations. As it works to achieve its overall policy goals, the League supports a system for unauthorized immigrants already in the country to earn legal status, including citizenship, by paying taxes, learning English, studying civics and other relevant criteria. While policy reforms, including a path to legal status remain unachieved, the League does not support deporting unauthorized immigrants who have no history of criminal activity. Click here for more information. Community forums are co-sponsored by the Santa Barbara Public Library and Santa Barbara TV. Sound provided by Gary Atkins, Sound Systems. October 2, 2017 - This Public Forum was co-sponsored by LWVSB and its Education Fund, by the Faith and Society Committee of the First United Methodist Church, and TVSB. How Do We Support, Or Not Support, Local Government? A panel discussion of revenue collection in an era of government mistrust. October 18, 2017 - The League believes that efficient and economical government requires adequate financing and well-defined channels for citizen oversight. At the local level we support measures to provide a flexible and equitable fiscal structure to finance the necessary services for the South Coast cites and County of Santa Barbara. To that end we have invited Elizabeth Ralston to address the progress of Make It Fair, a California movement seeking to reform Proposition 13. Elizabeth Ralston is the past president of the Los Angeles League of Women Voters and a consultant on state and local finance for the League of Women Voters of California. Santa Barbara Mayor Helene Schneider will discuss Measure C, the Santa Barbara City sales tax for infrastructure repair and essential community services. Santa Barbara County Supervisor Das Williams will discuss his efforts at the local and state levels to identify efficiencies and new revenue sources. Make It Fair is a movement to reform Proposition 13 in order to continue to protect homeowners, while providing for large corporations to pay again the larger share of property taxes. Make It Fair will restore over $9 billion a year for services that all Californians rely on. The League of Women Voters of California is a major co-sponsor of Make it Fair. Leaguers will be part of the effort to reform portions of Proposition 13 while not impacting homeowners, renters and owners of agricultural land; providing tax relief for small businesses; and including tough transparency and accountability measures so that everyone can see how any additional funds are spent. The League of Women Voters of Santa Barbara is supporting Measure C on the November 7 ballot, which would raise the local sales tax in the City of Santa Barbara by one percent to 8.75%. If approved, the additional tax would be used for essential services and repair of critical infrastructure, including: police, fire, and 911 emergency medical response; local streets, potholes, bridges and storm drains; neighborhood fire stations/public safety infrastructure; parks, youth/senior services; address homelessness; help retain local businesses; and support other general services. National, state & local League positions all support "adequate funding" for government services. The LWVSB Board's decision to support Measure C was also based on a commitment to transparency and accountability, including the provision for a citizens' oversight committee and public disclosure of all spending, and a promise that all funds will be used locally. The Santa Barbara County Supervisors faced a roughly $30 million shortfall in the 2017 budget. Impacting the county budget were employee pension costs, emergency services, infrastructure and future operational expenses for the new jail. These shortfalls, including uncertain federal and state funding, can mean cuts to vital health and human services and an inability to adequately meet infrastructure needs. While supervisors look for efficiencies they are also looking to potential revenue sources from marijuana taxes to new development to looking at ways that services can become self-sustaining. Emily Allen, Jane Benefield, Connie Hannah co-chairsThe community forums are co-sponsored by the Santa Barbara Public Library and Santa Barbara TV. Sound provided by Gary Atkins, Sound Systems. Forums are free and open to the public. How Can We Protect Voting Rights? Efforts of grassroots activists to promote civic engagement, remove barriers, and provide opportunities and information to support Latino and other underrepresented voters + Marcos Vargas, Executive Director, Fund for Santa Barbara. The forum is co-sponsored by the Santa Barbara Public Library and TVSB. It is free and open to the public. See the event flyer for more details.